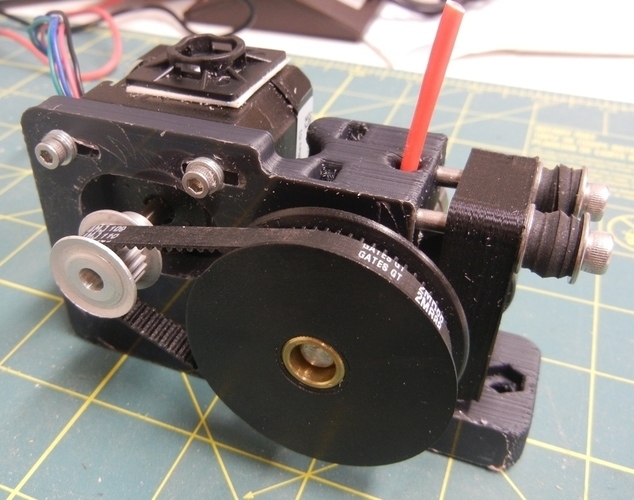 Summary **I just uploaded a newer version of this design please check it out first: http://www.thingiverse.com/thing:456025 This is a mash-up of the Greg's Wade extruder and Terawatt Industry's belt drive extruder. It brings the zero backlash advantages of the Terawatt 00str00der design together with a heavy duty, rock solid design. 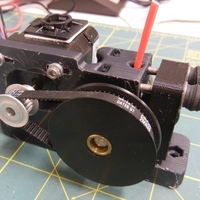 Video can be found here: http://youtu.be/cY4r6K0P9Qk 2013.12.05 Added 1.75mm filament option 2014.05.30 Corrected belt size Instructions Components Required: 65T plastic (carbide) GT2 pulley w/8mm bore, flanges, set-screw 17T aluminum GT2 pulley w/5mm bore, flanges, set-screw GT2 belt, 2mm pitch, 88T, 196mm length, 6mm-with, fiberglass-reinforced, closed-loop Pulleys and belt can be sourced from stock drive products, Terawatt industries, ebay, etc. Hobbed Bolt 608 bearings, 3 minimum (more could be used as spacers on the hobbed bolt) 2x M4 x 55 SHCS 2x springs 1x M8 axle or stud for idler pulley 4x M3 SHCS for stepper mount 4x M3 washers for stepper mount misc other M3 / M4 hardware Assemble as normal for Greg's style extruder. 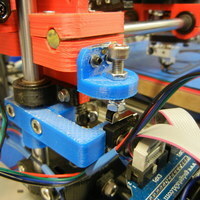 Use the slots in the stepper mount to tension the belt. 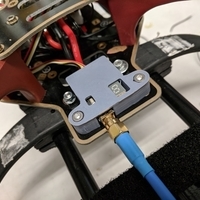 Be sure to recalibrate your E steps after installation. 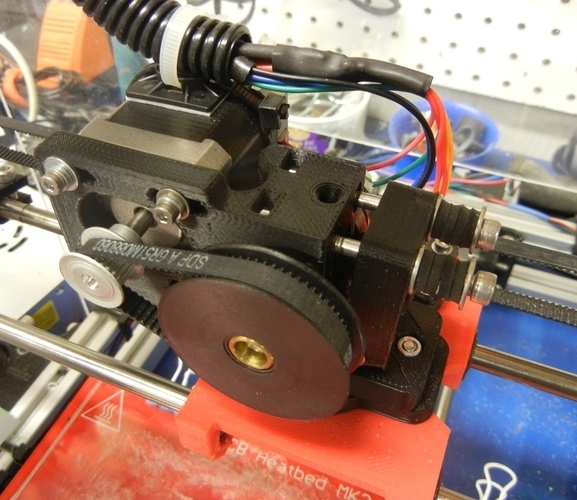 You may also have to reverse the direction of your extruder stepper in your firmware. (I did) Note the photos shown illustrate assembly using Terawatt Industries' elastomer bumpers for the idler tension springs. I'd highly recommend using steel springs instead, they seem to work much better. 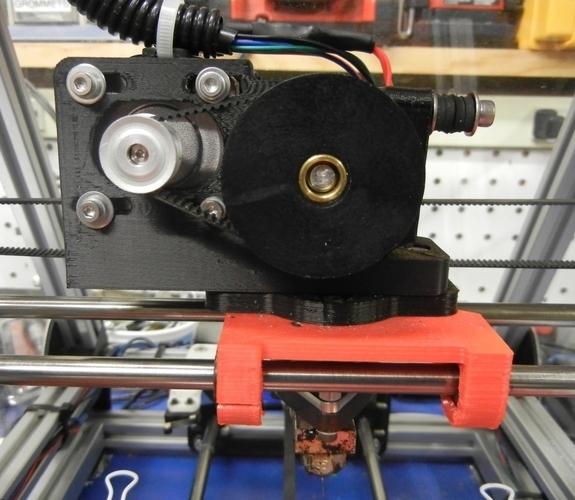 Enjoy quieter, backlash-free printing!